Based in Llanishen, North Cardiff, Yapps Garages Ltd was founded in 1924 by the Yapp family. Alpha Garages was founded in 1977 by Jeffrey Davies and Paul Gunney. 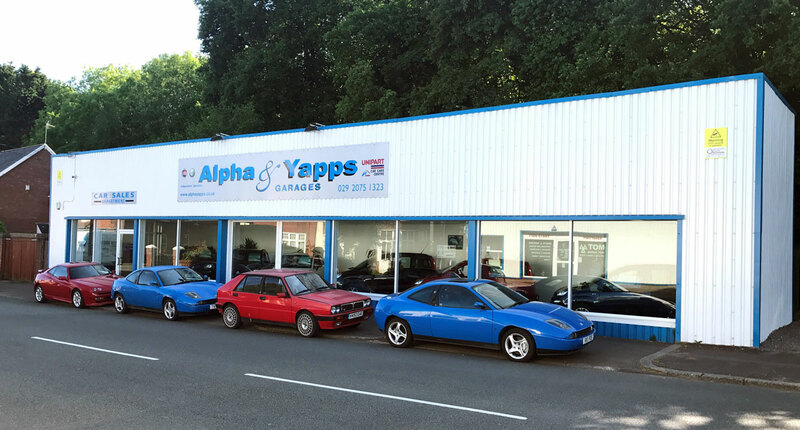 Yapps had been Fiat main dealers for 20 years from 1975 and Alpha Garages have been specialised in Alfa Romeo since they started. The merger of the two companies was a “marriage” made in heaven for motorists who appreciate Italian cars. The merger also brought an unrivalled team for the two marques unlikely to be found anywhere else in the UK. We are agents for most national fleet management companies, with the capability of servicing and repairing any make of car. We also supply Genuine Fiat Parts and Alfa Romeo Parts to keep your cars on the road.